How to Ask for the Right Celebrity Hair Color at the Salon? How many times have you gone to the hair salon and asked for a particular hair color, only to leave disappointed! I mean, you specifically asked for a chocolate brown and came out with something looking more red than brown. Not only that, but you even showed them a picture of the celebrity look you wanted to recreate. 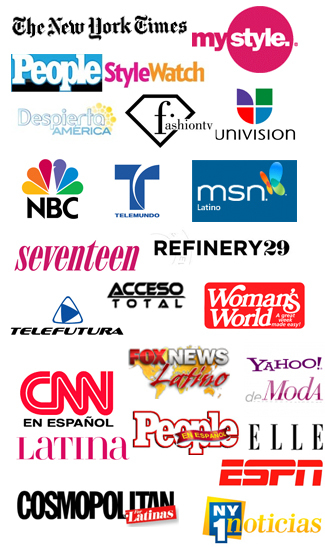 Well not to worry, we asked the lead color director at Sassoon Salon in Miami, Jesse Mendoza, to give us a hand. 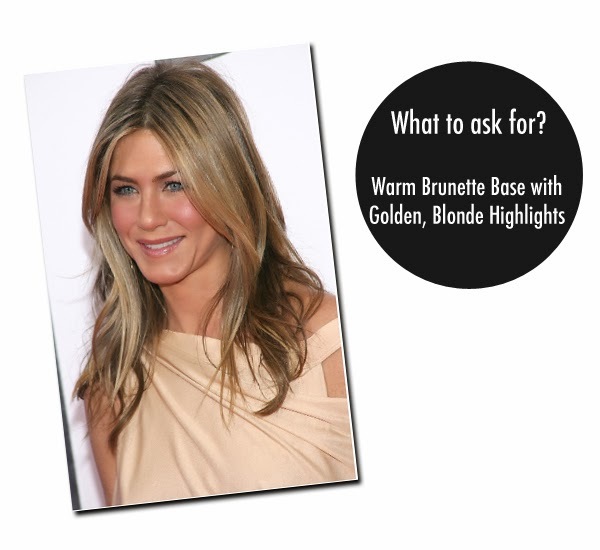 Here are the top 14 most requested celebrity hair colors and how to ask for their look. 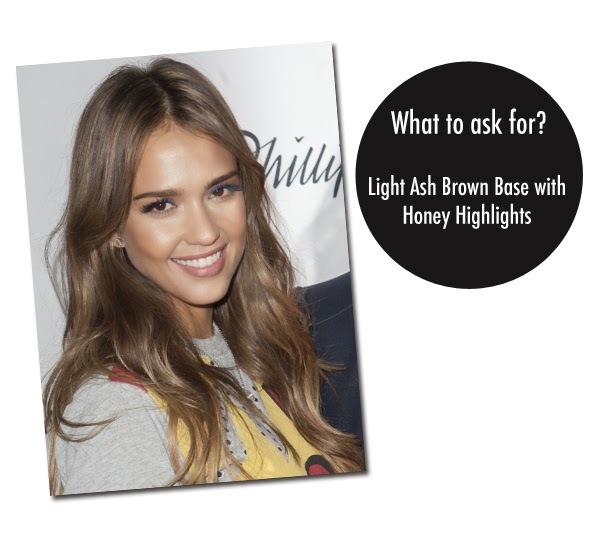 To get this look, ask your colorist: For a light, ash brown base with honey highlights and caramel brown lowlights placed throughout the hair. Also, you should request that the color transitions to lighter tones towards the ends to add depth and definition. To get this look, ask your colorist: For a warm, brunette base with golden, blonde highlights incorporated throughout the hair, but around the face and underneath layers, request super light highlights to brighten the face. To get this look, ask your colorist: For a dark espresso brown on the roots with a lighter brown on the mid lengths. Then, request for your colorist to finish the look with the lovely, honey blonde tones applied to the ends and underneath. 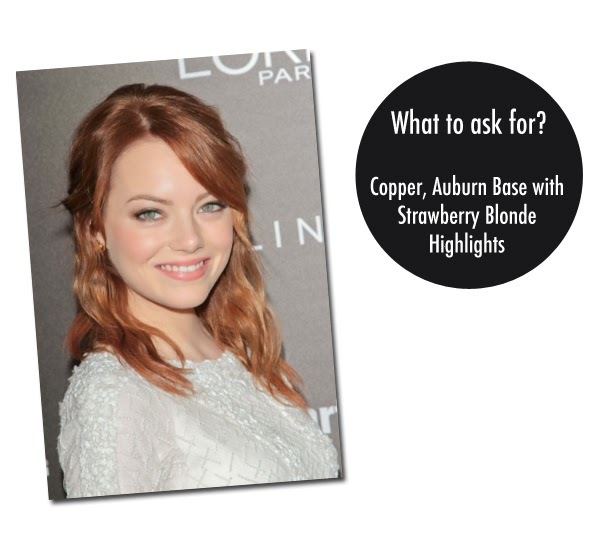 To get this look, ask your colorist: For a copper, auburn base that incorporates strawberry blonde highlights. For a lighter strawberry blonde option, place the highlights at the ends. This color works perfectly for fair skin and light eyes. 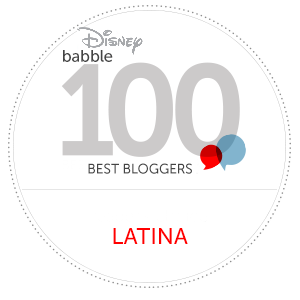 To read my full article on Babble click here.